Our Non-Invasive Cardiology Labs, Cardiac Catheterization Labs, Cardiac Surgical Suite, Cardiovascular Telemetry Unit, Cardiovascular ICU, and Cardiovascular Surgeon’s Clinic are all located under one roof on one floor within the medical center. Glenwood Regional Medical Center’s Heart and Vascular Institute is pleased to offer a cutting-edge wellness program, AngioScreen, which mobilizes revolutionary vascular screening technology and services for communities throughout the region. 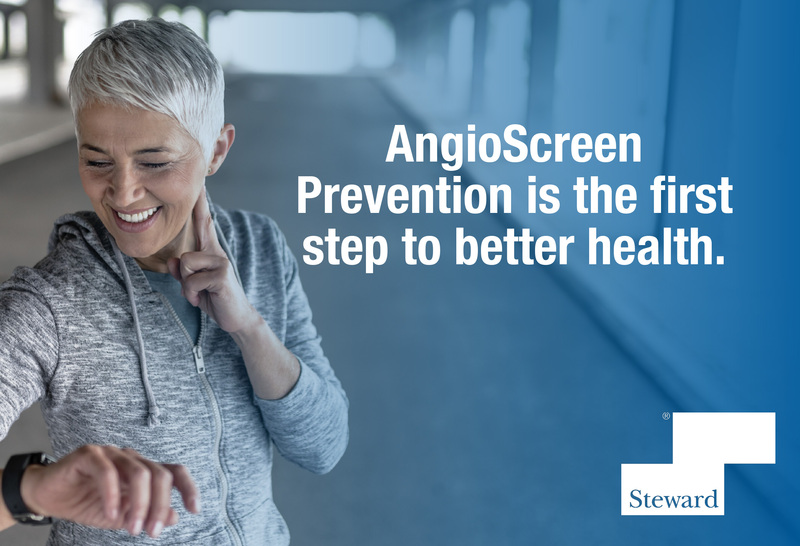 With the AngioScreen coach, mobile screenings can be brought to people within the community and region, providing immediate information about vascular health- including circulation, risk of heart disease, stroke, and abdominal aorta aneurysm. Call 877-726-9355 to schedule your appointment. The 10-minute HeartView scan is a non-invasive scan of the heart that may save lives by detecting heart disease long before symptoms occur. When open heart surgery is required, Glenwood’s specialized heart team is ready, with a board-certified cardiovascular surgeon and a highly experienced surgery staff, allowing patients and their families to remain in familiar surroundings, close to home before, during and after surgery. A designated heart suite in Glenwood’s Surgery Department ensures that the highest quality care is maintained. The interventional cardiology program is dedicated to the non-surgical management of patients with cardiac and peripheral vascular disorders. Our history of excellence and innovation is distinguished. What is a Hybrid OR? The Hybrid OR Surgical Suite is the most innovative approach to vascular and heart care available in our region. This unique operating room blends the technologies of advanced surgical approaches with crisp, high-tech imaging services. The Hybrid OR is a cardiovascular catheterization lab with immediate surgical capabilities, designed to enable cardiologists and cardiovascular surgeons to work side by side in the same room, at the same time, in the best interest of their patients. The Cardiac Rehabilitation program is designed for individuals who have experienced a heart attack, bypass surgery, angioplasty/stent, chest pains, valve disease or individuals with multiple risk factors for developing heart disease. The Cardiac Rehabilitation Unit will assist you in setting achievable goals for resuming a healthier lifestyle through exercise, and education. With your physician, an exercise prescription will be provided for you by the Cardiac Rehab staff that is tailored for your individual needs and goals. At your first visit, our pulmonary rehab team will evaluate your overall physical condition and then develop a comprehensive treatment program. Your individual program may include exercises specific to your needs, physical and/or respiratory therapy, education about your condition, medications, nutrition, and one – on – one or group counseling. Learn About Early Heart Attack Care The Deputy Heart Attack program provides the essential early heart attack care education to help you save a life. Hands-Only CPR Hands-Only CPR has been shown to be as effective as conventional CPR for cardiac arrest at home, at work or in public.